You faithfully schedule your annual physical even though you feel healthy so you can nip any health problems in the bud. Do you take the same care with your eyes? An eye condition can respond positively to early detection and treatment, but many present no symptoms until well into their development. According to the Centers for Disease Control and Prevention, more than 3.4 million Americans aged 40 and older are legally blind or visually impaired. Protect your vision by getting checked for these common eye conditions. Glaucoma is a build-up of fluids in the eye where the resulting pressure damages the optic nerve. 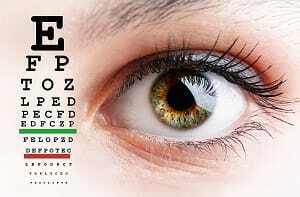 This eye condition is one of the leading causes of blindness in the United States. Currently there is no cure for glaucoma, but early treatment such as prescription eyedrops or surgery can keep it controlled. Cataracts result when the eye’s lens becomes stiff, causing a cloudiness that makes it difficult to focus. This eye condition develops slowly and often occurs in older people. Early treatment can include glasses or magnifying lenses. Surgery is also used to replace the cloudy lens with an artificial one. AMD is a progressive deterioration of the macula, located in the center of the retina, which causes a reduction in visual detail. This eye condition may be “dry,” where deposits occur on the macula, or “wet,” where the growth of abnormal blood vessels causes leakage into the retina. While only about 10 percent of AMD cases are of the wet form, it accounts for the majority of severe vision loss caused by the disease. Risk factors for a detached retina include severe nearsightedness, eye injury and family history. Regular eye exams can help prevent detachment by spotting retinal tearing or other changes. Don’t take chances with your precious eyesight. Schedule an appointment today for a full eye exam at Valley Eyecare Center so we can address any questions or concerns you may have.